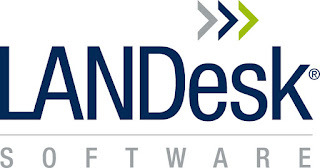 The American IT vendor LANDesk has staff warned that their data may have been stolen in a burglary on the network, but LANDesk employees to know that the hack goes much further and there may also be source code was stolen. LANDesk develops software for computer management. The company has issued a warning recently that suspicious activity is detected on the IT systems. In addition, the data may be stolen by employees, the company said. Details will not, however, give the IT provider, but it does know that the environments of customers using the LANDesk software no risk. Across IT journalist Brian Krebs tell several employees that the attackers may have been since June 2014 had access to the systems. This is clear from the logs. The burglary was discovered only after an employee complained about a slow internet connection. The survey also showed that the attackers passwords IT manager and system had been compromised. Lists also were found with source code and build evers who had compiled the attackers. Through the source code, it could be easier for attackers to find vulnerabilities in the software and allows companies to attack. However, a spokesman would not confirm or deny that the break-source code has been captured.